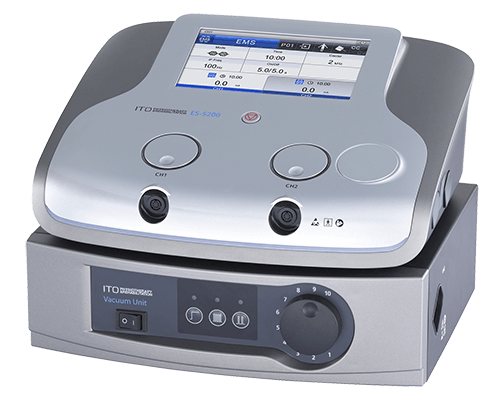 ES-5200 | ITO PHYSIOTHERAPY & REHABILITATION CO., LTD.
You can simply choose the area to be treated from Human Body Diagram. 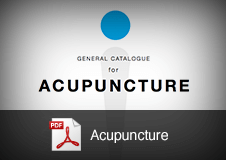 28 therapy parameters are pre-programmed for over 20 types of typical pathologies. 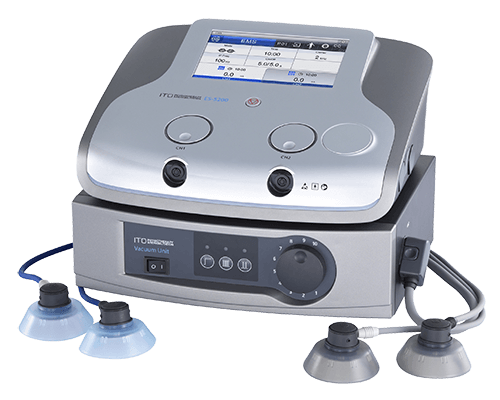 By using these parameters, you can quickly accumulate know-how of treatment for various pathologies. All the pre-programmed parameters can be modified to suit your particular needs. 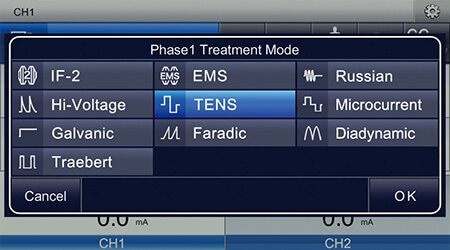 This mode allows you to apply two designated therapeutic courses continuously without having to modify unit parameters. 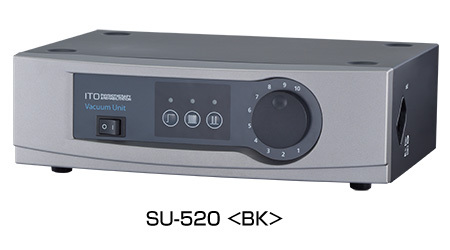 SU-520 <BK> is exclusively made for and combined to ES-5200. This vacuum unit adopts blow-out system which does not pull dusts nor contain humidity inside vacuum electrode. Therefore, SU-520 <BK> minimizes your work effort in maintenance. Depending on current modes, you can select constant current mode (CC) or constant voltage mode (CV). 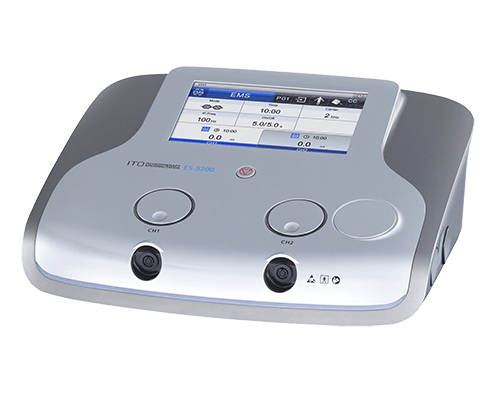 CV mode automatically adjusts the amount of current transferred to skin when the device detects the change of resistance to the skin. This mode enhances safety. 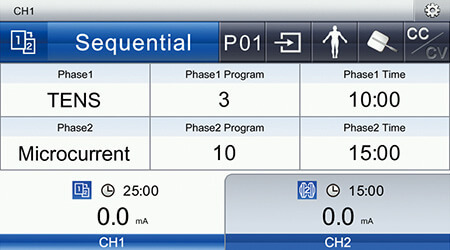 You can save 120 treatment parameters and quickly load & modify them as you like. 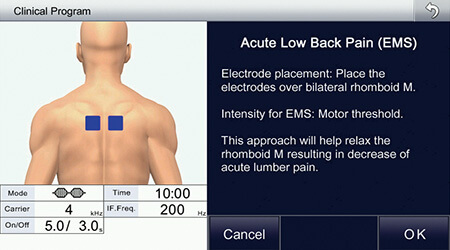 This function facilitates treating numerous patients. You can select language from English, German, French, Spanish, Italian, Portuguese, Turkish, Chinese and Vietnamese.